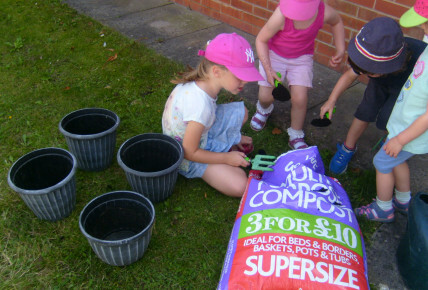 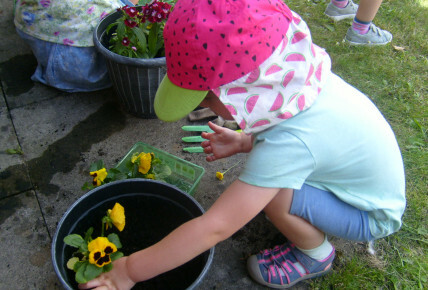 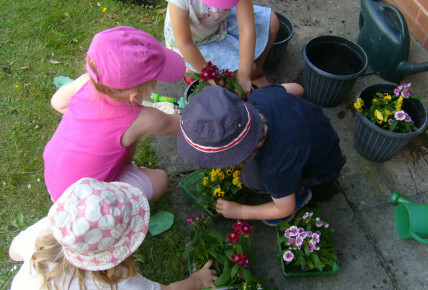 Busy Bees at Southwell - Pre-School get green fingered! 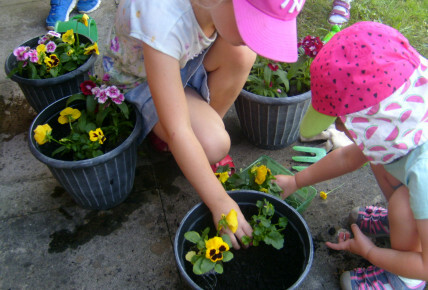 The children in Pre-School have been busy brightening up the entrance to the nursery by filling and producing beautiful planters for all to see! 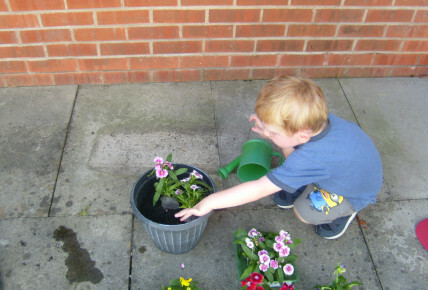 Our previous flowers were looking a little dated and lonely, so we spruced the place up!